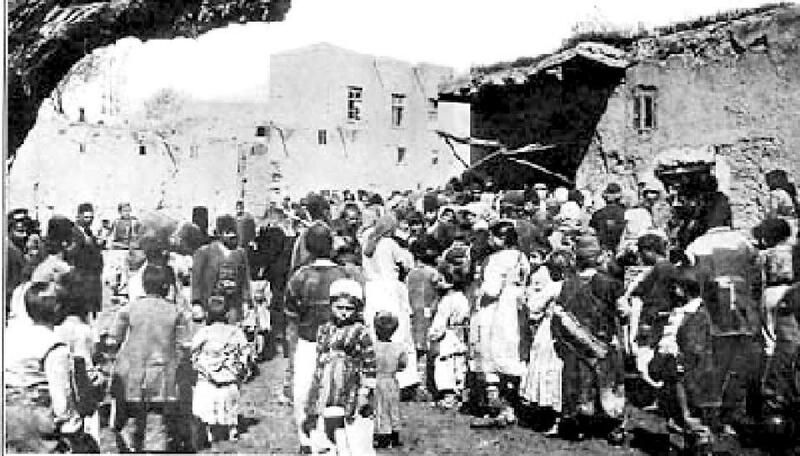 Armenian refugees crowd around a public oven during the siege of Van in 1915. Here’s the setup: A Coca-Cola bottle falls from a low-flying airplane over an undeveloped corner of Africa. How undeveloped? The local tribesman who finds it — as well as the rest of the villagers — have no idea what it is and presume it’s a gift from the gods. Unfortunately, the empty bottle, with its myriad uses, unleashes almost everyone’s baser instincts. I am referring to a 1984 movie called “The Gods Must Be Crazy,” a comedy that much of the world loved and I loathed. Seriously. I nearly walked out. I was even a little offended by what I perceived as its Orientalism: Its Western condescension toward a culture that’s less developed. So, why am I citing a nearly three-decade old movie that I detested? Because I learned last month that the gods indeed might be crazy. I was traveling with companions through Turkey’s easternmost provinces, a part of the world that is very different from cosmopolitan Istanbul or such popular Turkish tourist destinations as Ephesus and Nemrut. The regions are largely Kurdish, but as recently as 98 years ago they were a mixture of Kurds, Turks, Assyrians, and Armenians. It is a part of Turkey that many Armenians (including me) refer to as Historic Armenia. While driving from Van to Diyarbakir, we detoured to a small Kurdish village near Bitlis to see the ruins of an old Armenian church. What remains is now a barn. As we were leaving, one of village elders pulled aside my friend, Khatchig Mouradian, who speaks Turkish, and said he had a relic the Armenians had left behind when they’d moved away, and he wanted to know how valuable it was. He was hoping that Khatchig could translate for him the mysterious Armenian writing on the bottom. Khatchig could indeed read it. But so could I. So could have most any third or fourth grader in any elementary school in Boston — because it wasn’t Armenian. It was English. The relic was a run-of-the-mill porcelain plate from the 1960s. It was a Currier and Ives sort of print of a horse carriage approaching a post office. The wording on the bottom? “Royal Tudor Ware. Staffordshire, England.” I found this very plate — or one just like it — going for a few dollars on eBay. I think anyone who brought the plate to the “Antiques Roadshow’’ would have been laughed off the set. It wasn’t valuable. It wasn’t a relic. And it sure as heck wasn’t Armenian. Trust me: The Armenian alphabet looks as much like the Latin alphabet as a Picasso looks like a Monet. We’re talking apples and oranges. But it was clear that the elder and the community members who crowded around Khatchig as he translated the few words on the bottom revered this plate. This was — forgive me — their Coca-Cola bottle. Sure, it wasn’t a gift from the gods, but in the eyes of this village, it was an item of totemic importance that might have serious commercial value. Now, it would be easy to focus on the reality that there are parts of this globe that can’t distinguish between a piece of mass-produced 1960s porcelain and a relic. But that’s not newsworthy. That’s a bad movie from 1984. Moreover, this village had cars and electricity and at least one dude with rock ‘n’ roll as the ringtone on his cellphone. Here, however, is what fascinated me — what made this comedy in reality a tragedy. The Armenians of the village didn’t just “move away.” At least most of them didn’t. Most of them, in all likelihood, were among the 1.5 million Armenians systematically annihilated during the Armenian Genocide that began in 1915. Three out of every four Armenians in the Ottoman Empire were killed, sometimes by their own Kurdish or Turkish neighbors. I have no idea how that plate wound up in that village. For all I know, it fell from a plane like a Coke bottle and managed somehow not to shatter. Obviously it never belonged to the Armenians. But even if the Kurds had shown us an actual plate from 1915, it would not have been worth dying for. It would not have been worth killing for. 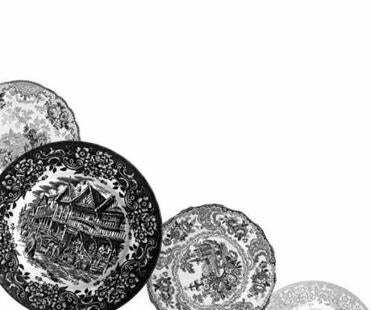 The real value of that Staffordshire dinner plate from the 1960s? A symbol of the ignorance and misunderstanding that can drive a wedge between people who, once upon a time, might have managed to live together in peace. Chris Bohjalian is the author of 16 books. His new novel, “The Light in the Ruins,” comes out on July 9.